Duck is new and wants to make friends with the other animals by trying to join their clubs. Unfortunately they have very strict membership criteria. To join Lion Club you need to be able to ROARRR! like a lion. The Elephant Club will only accept members who have exceptional memory skills and can TRUUUMPET! like an elephant. Duck can’t even join Snake Club as appearances matter and you need to be able to HISSSS! like a snake whereas Duck can only QUACK!. Unable to join any club, Duck decides to form a new one. But will it be exclusive like the others? There is one very strict criteria…you just have to want to be in the club! Everyone is welcome in Our Club. The use of animals over people to illustrate diversity and inclusion may appear quite neutral, but the choice of animals here is quite telling. The lion, the ‘king of the jungle’ (or playground in this instance) favours physical ability, whilst the elephant (a species known for its excellent memory and intelligence) favours intellectual prowess. The snake (often portrayed as a duplicitious character) favours uniformity and is wary of those who don’t look the same. This will resonate with children (and all of us) who will empathise with Duck, particularly those who have felt excluded themselves because they’ve felt like they’re not sporty enough, smart enough, or look ‘different’. 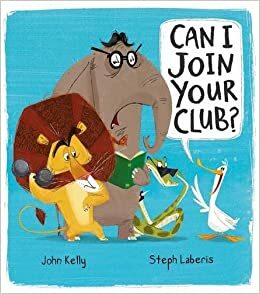 The story is an excellent prompt for discussion on friendship, tolerance, empathy and inclusion, and opportunities to join in and roar like a lion and trumpet like an elephant are always welcome! Another book on the same theme which, even though it was published 20 years ago, is still relevant today and is highly recommended when looking at inclusion. 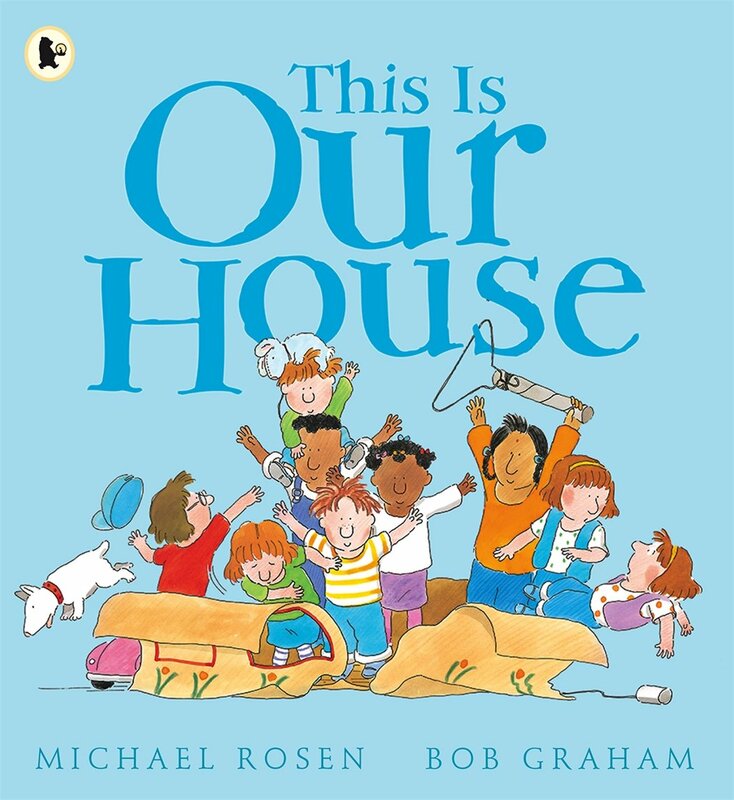 This is Our House by Michael Rosen and Bob Graham (ill.) (Walker Books) is a picture book featuring a group of small children in the play area between the tower blocks where they live. George has constructed a cardboard house and refuses to let anyone else come in. Each child that attempts to enter is informed that they don’t match his strict criteria: no girls; no small people; no twins; no glasses; no people who like tunnels. But when George returns from a visit to the toilet he finds everyone crammed into his house, from which he has now been excluded on account of his hair colour. Naturally, George is very upset at getting a taste of his own medicine and decides there’s only one way to fix this. “This house IS for people with red hair… AND for girls and small people and twins and people who wear glasses and like tunnels!” because “THIS HOUSE IS FOR EVERYONE!”. I particularly like that one of the exclusion criteria is whether or not you like tunnels, as that really highlights the silliness of the other criteria. It’s also refreshing to see a story set in a realistic environment where the children live in flats with a play area that is relatively basic and austere. This is a classic picture book which would pair well with Can I Join Your Club? when prompting discussion with young children on themes around inclusion. Posted on May 5, 2017 by Curriculum Centre. This entry was posted in Book reviews, Themed booklists and tagged Early Years, Inclusion, Picture Books, Primary, Reviews. Bookmark the permalink.